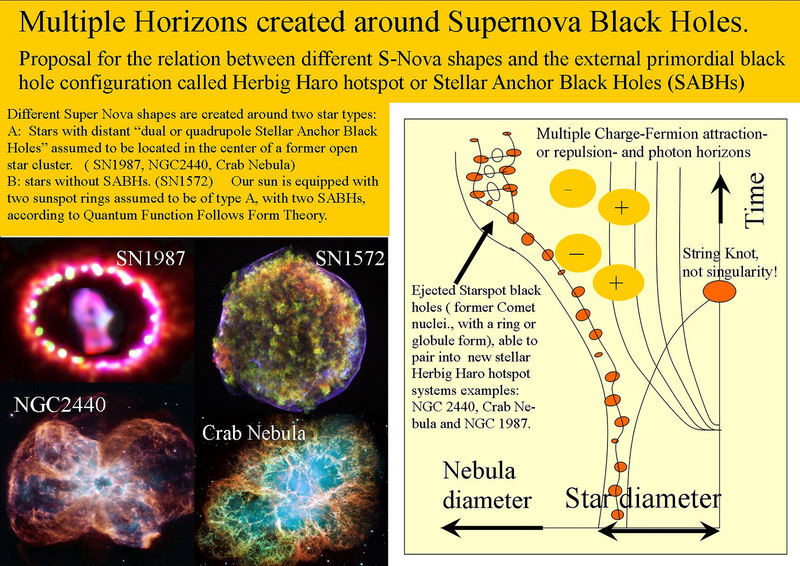 FUNCTION FOLLOWS FORM at the Rigid String Level, with a Pairing-Splitting Dark Matter Black Hole . 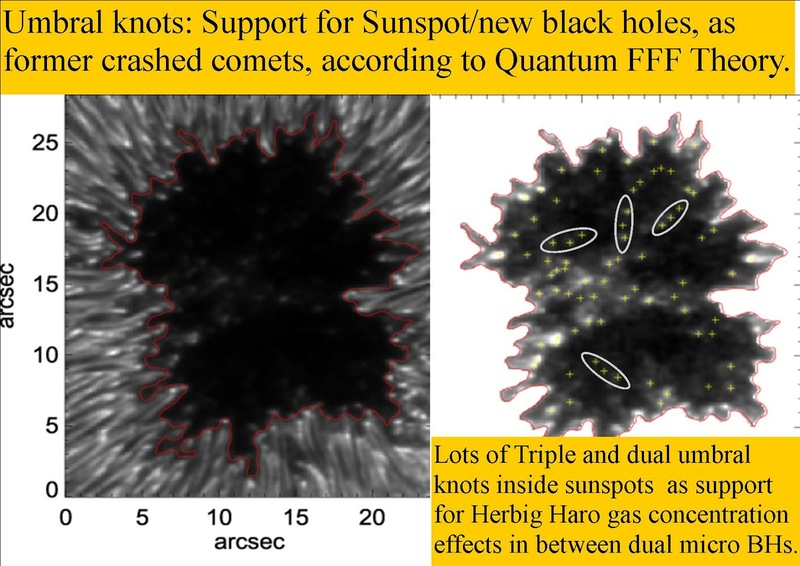 : Umbral knots as former Comet nuclei new physics black holes. Umbral knots as former Comet nuclei new physics black holes. The same process of grouping BHs is observed in the centers of dying red dead galaxies. The result of so many small BHs in the center of large galaxies is origin of galaxy dying. WHY? because no Herbig Haro dual triple hotspot systems are possible. 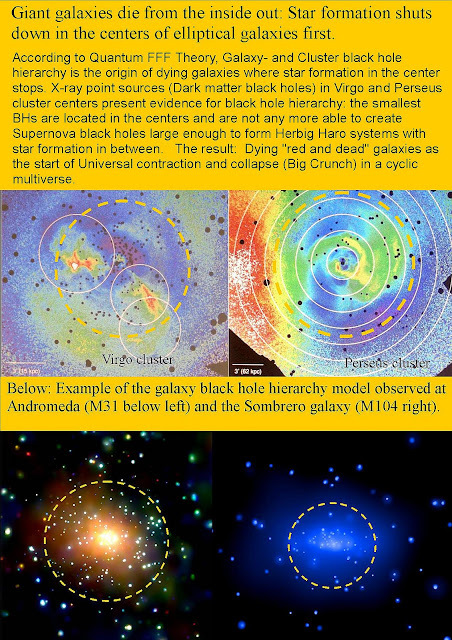 Attention: Larger BHs seem to be kicked out of the galaxy ( and even Galaxy clusters? : see Virgo and Perseus: below) to form Globular clusters .